New on Homeaway from 1/7/2018. 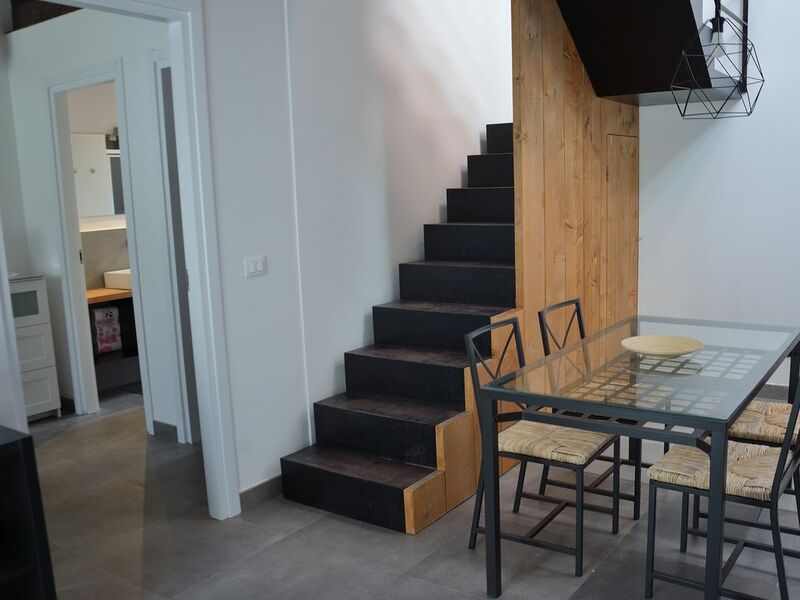 Adjacent to Piazza Santa Lucia, one of the most beautiful and historic squares of Syracuse, ELEVEN is a completely renovated independent house, with functional and design environments. Fully air-conditioned and with free wi-fi, it consists of: three bedrooms (2 on the mezzanine floor and 1 on the ground floor), two fully equipped bathrooms with large shower, a large living area with sofa bed, fully equipped kitchen equipped ", flat screen TV and a small courtyard with laundry. Wide possibility of parking (free) in the same street and in the large square of Santa Lucia adjacent. The area is served by bars, pizzerias, bakeries and is just a 12-minute walk from Ortigia. A few steps from the Sbarcadero Santa Lucia (Porto Piccolo), with a public solarium from which you can enjoy a magnificent view of Ortigia! New on Homeaway forn 1st July 2018. Charming and independent house, adjacent to Piazza Santa Lucia, one of the most beautiful and historical squares of Syracuse. Welcoming and spacious, ELEVEN offers a large living room with a large sofa bed, a fully equipped kitchen and a small courtyard with a laundry area. The area is well connected to all kinds of coffee shops, bakeries and especially to Ortigia Island (only 12 minutes away from the house). Moreover, a few steps from Porto Piccolo and Sbarcadero Santa Lucia, ideal to sunbathe in the public solarium from which you'll enjoy a magnificent view of Ortigia! Charming and independent house, completely renovated, adjacent to Piazza Santa Lucia, one of the most beautiful and historical squares of Syracuse. Welcoming and spacious, ELEVEN offers air-conditioned and design interiors, with 3 bedrooms, 2 bathrooms with large showers, a big living room with large sofa bed, a fully equipped kitchen and a small courtyard with laundry area. Parking always available and free, in the same street or in the near big square. The area is well connected to all kinds of coffee shops, bakeries and especially to Ortigia Island (only 12 minutes far away from the house). Moreover, a few steps from Porto Piccolo and Sbarcadero Santa Lucia, ideal to sunbathe in the public solarium from which you’ll enjoy a magnificent view of Ortigia! This property has been completely refurbished, very tastefully, and provided our family of six with a comfortable stay. The owner and her father were both very helpful and provided us with lots of useful local tips on where to go and where to eat. The house was very clean and provided us with all the equipment we needed (Simona even went out to buy some extra items we needed). The starter provisions including a bottle of wine and coffee, etc were a lovely touch.